With the exception of one time a few years ago. I’m always running around like a bit of a headless chicken at this time of year. 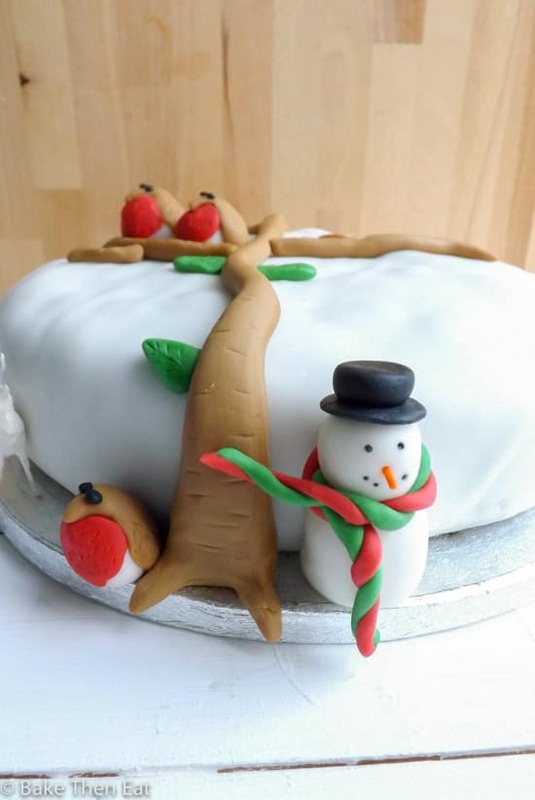 I almost always forget to make the Christmas cake, hence why each year I present you with a new last minute cake. This years entry ‘A Golden Fruit Cake As A Christmas Cake’ is a semi last minute cake. I did make it a few weeks ago, but this cake can be made as late as 24 hours before needed. Lets talk fruit shall we? This Golden Fruit Cake As A Christmas Cake is packed full of it. 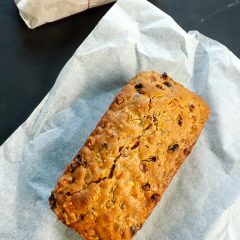 I wanted it to be light in colour but packed full of flavour and yet still feel like a traditional fruit cake I had to choose my fruit and other ingredients carefully. 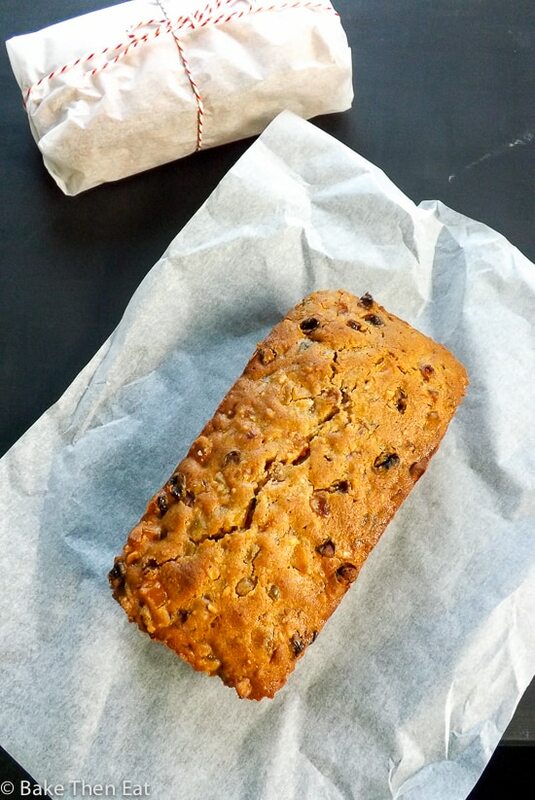 Firstly I used golden sultanas, as a fruit cake without sultanas is just not a fruit cake to me! I also used a combination of dried mango and pineapple pieces, diced dried apricots as well. I finally added some candied circus peel and crystallised ginger. Their flavours help to keep this cake zesty and also a tiny bit fiery. Because the fruits had a tropical feel to them I wanted to soak my fruit in a tropical booze so I chose a golden rum. Light and spicy and a perfect accompaniment to the fruit. Now I understand not everyone wants to have alcohol in their bakes as they have children in the house. Pineapple juice or even orange juice will work well here instead of the rum. Just remember when soaking the fruits, fruit juice will not preserve the fruits and must be used within a couple of days. I soaked my fruit for 3 days, I found this was long enough for the fruit to become plump and take on a hint of the rum. Everything else in this cake is pretty much standard fruit cake ingredients. Except I used light brown sugar and no dark brown which I would use if I were making a more traditional fruit cake. I also added a touch of granulated sugar to help keep this cake more golden. 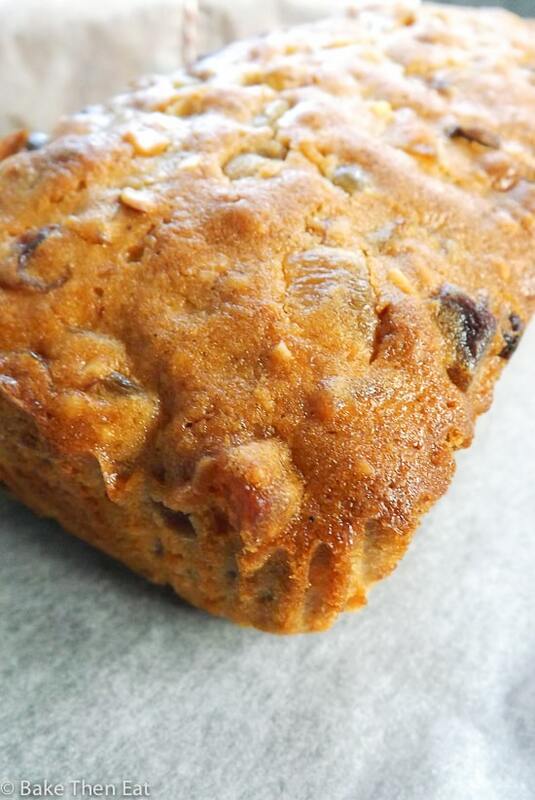 I do add a touch of ground almonds to the flour and chopped hazelnuts and almonds to the cake, but if nuts are an issue for you then please replace the ground almonds with regular flour and leave the nuts out. I enjoy them as they add not only to the flavour but the texture as well. 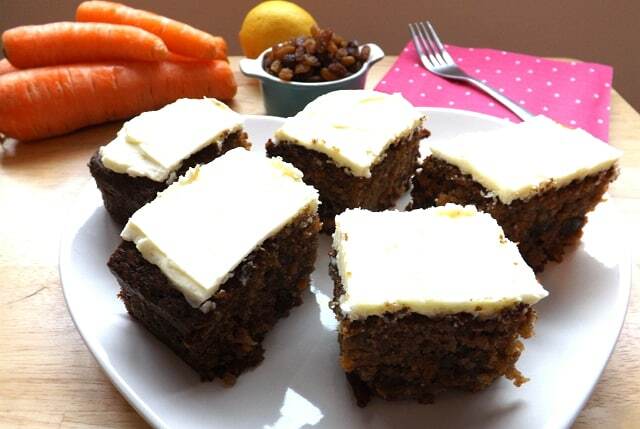 There is also a few seasonal spices added to this cake to help the touch of heat the crystallised ginger brings to the cake to really come alive. I have kept these cakes plain as I have decided to keep them simple this year. I will marzipan and ice one of them and I shall decorate the other one with glazed fruits and nuts. Because they are such a great base the decoration is totally up to you go wild or go naked 😉 the choice is yours. 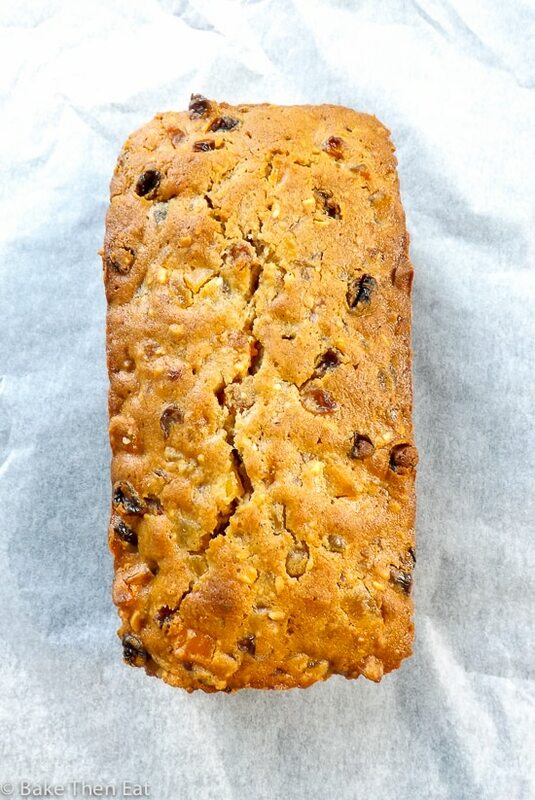 A Golden Fruit Cake As A Christmas Cake is a lightly spiced fruit cake packed full of golden sultanas, apricots, pineapple, mango, citrus peel and a cheeky bite of crystallised ginger all bought together with a little hint of golden rum. A lighter golden version of a traditional dark fruit cake. Take all your dried fruit the golden sultanas, dried apricots, mango & pineapple pieces, candied citrus peel and crystallised ginger and chop any of it up that may be too big. 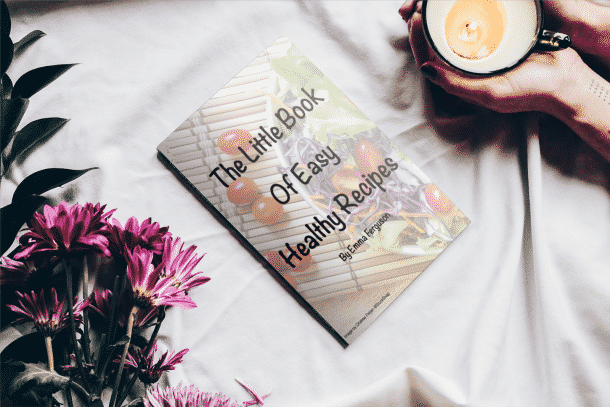 You are looking for it all to be about the size of the sultanas. 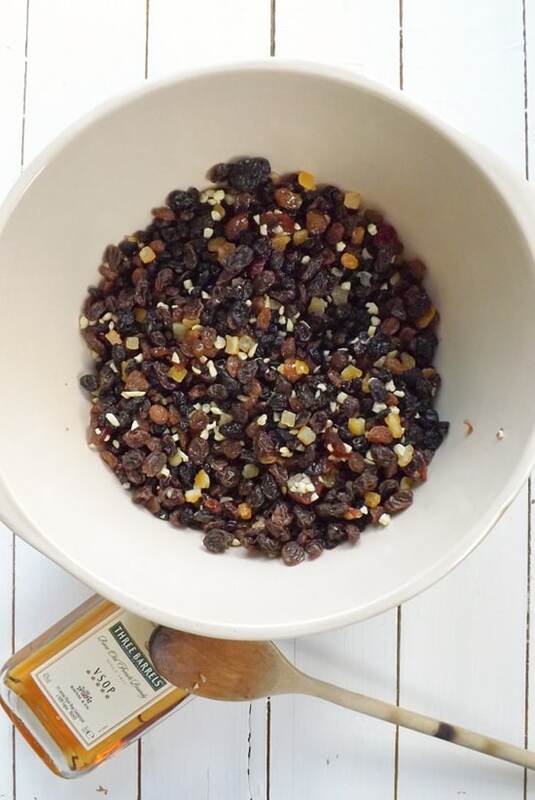 Place all the dried fruit into a large mixing bowl and gently pour all the rum over it and give it a good stir and cover it. Go back in a few hours and give it all a good stir, then leave overnight or longer if you wish. I left my fruit for 3 days stirring it once a day but if its kept in a sterilised jar that is airtight then this fruit could be soaked in the rum for months! Just remember to upend your jar regularly. But only if you are using rum, if you are using fruit juice then you will need to use the fruit within at least 2 days. When you are ready to make the cake preheat your oven to 180C / 350F / Gas mark 4 and either line or very lightly grease two 2 pound loaf tins. In a stand mixer or a large mixing bowl using a hand mixer cream the butter and sugars together until it is light and fluffy. Add the eggs one at a time mixing in between each addition. Pour in the flour, ground almonds, baking powder, and spices and gently mix it all together until you have a golden batter that holds its shape. Gently fold in the chopped nuts. Divide the batter between the two tins and pop them into the centre of your hot oven. After 1 hour check on your cakes, I have a notoriously slow oven and I found I had to bake them for a further 30 minutes to be baked through. Although at the 1 hour point I did find they had enough colour to them and I did cover them with a little tinfoil to stop them browning further. Again keep a close eye on your cakes to see whats best for your oven. Once fully cooled down these cakes can be wrapped in baking parchment and fed more rum for a few weeks or you can decorate them immediately with marzipan and icing or maybe with fruit and nuts. I am going to decorate one each way. Undecorated and being 'fed' once a week a teaspoon of rum these cakes will keep wrapped and in a tin for several months. But I do advise eating them within a few weeks. 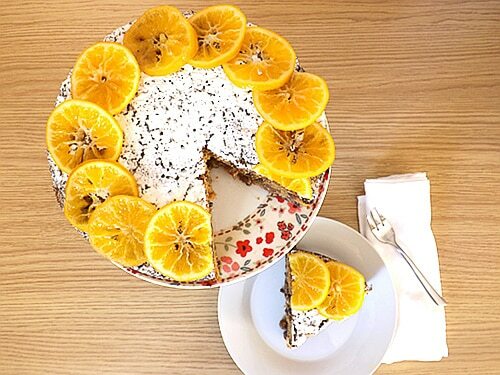 Golden fruit cake is a must for Christmas. 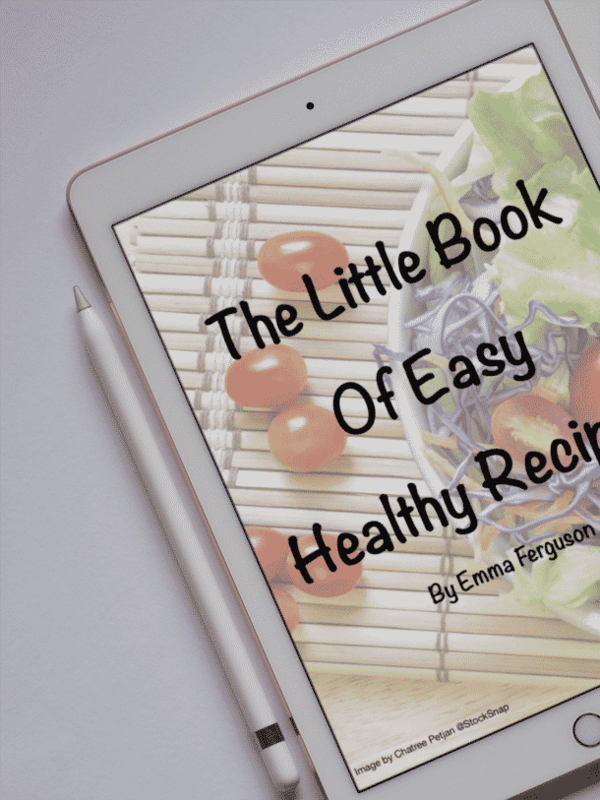 This would make a lovely and delicious holiday gift, Emma. Love the addition of golden. That tropical booze must have added a nice flavor. YUMMY. I prefer them plain! 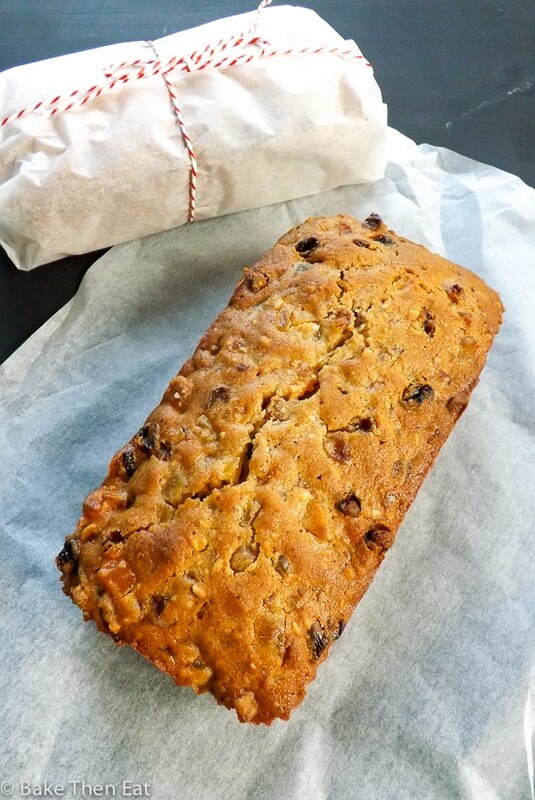 Your fruit cake looks super with all the awesome dried fruits, esp. mango and pineapple! Thanks Angie, I like this cake plain the fruits have so much flavour so I think I will mainly decorate these ones with fruit and nuts. This reminds me of when I was younger during the holidays – we would ALWAYS get this brick of a fruit cake from this woman named Mrs. Pike. My dad would always appreciate it but it would just sit there. LOL! He would serve it on NYE when we would always have huge parties… And it still would barely be eaten, LOL! 😆 😆 😆 we have all experienced something like this but I promise you there is far too much rum in this cake for it to be like a brick!